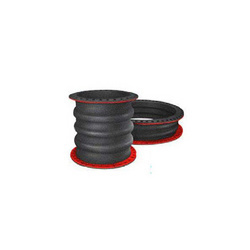 We are a leading Exporter of rubber expansion joint from Mumbai, India. We are engaged in manufacturing a wide range of Rubber Expansion Joint, manufactured by high grade material. Our products are highly appreciated by customer, there joints are available in various shape and sizes, with market leading prices. Rubber Joint having different material and design are suitable for different medium and different temperature range. Looking for Rubber Expansion Joint ?